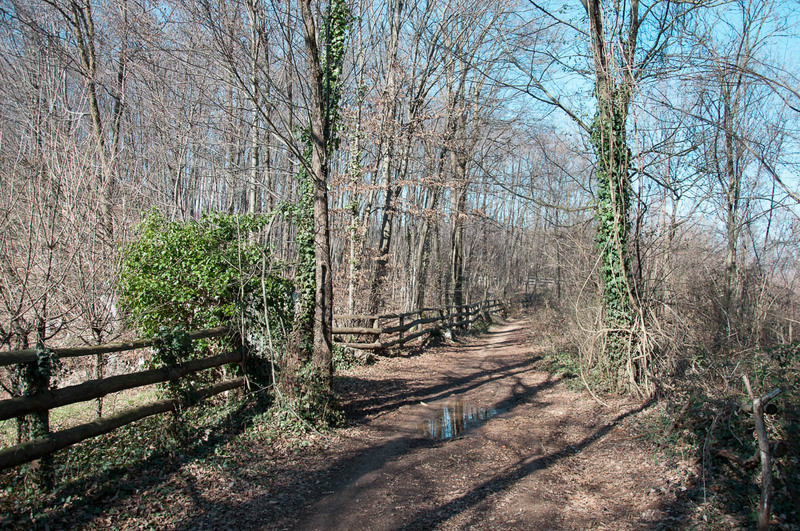 We celebrated the first day of March with an improvised hike in the Berici Hills – a striking chain of heights about 15 minutes away from where we live in Vicenza in the Northern Italian region of Veneto. It was a beautiful day. The sun was shining and the sky was blue. 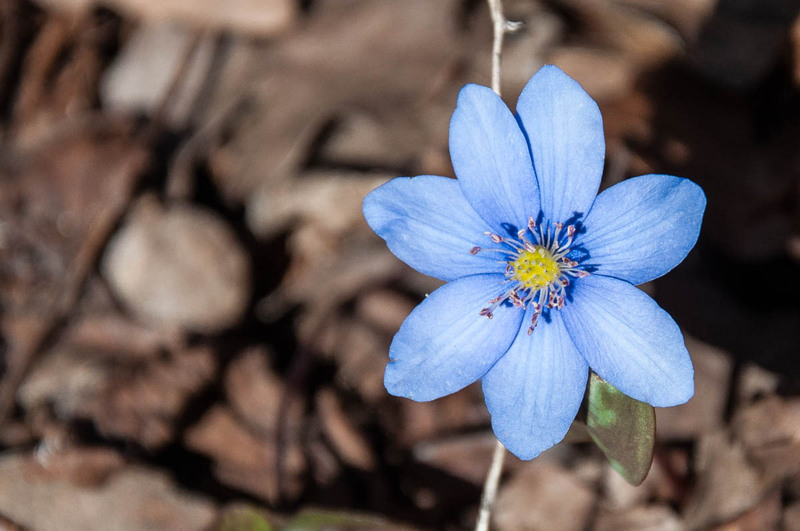 And if you are feeling a bit confused as to how we can get up and go on a hike in the middle of the week, I hasten to tell you that the first three days of this week were school holidays and with my husband and little daughter at home, we found ourselves with lots of free time on our hands. 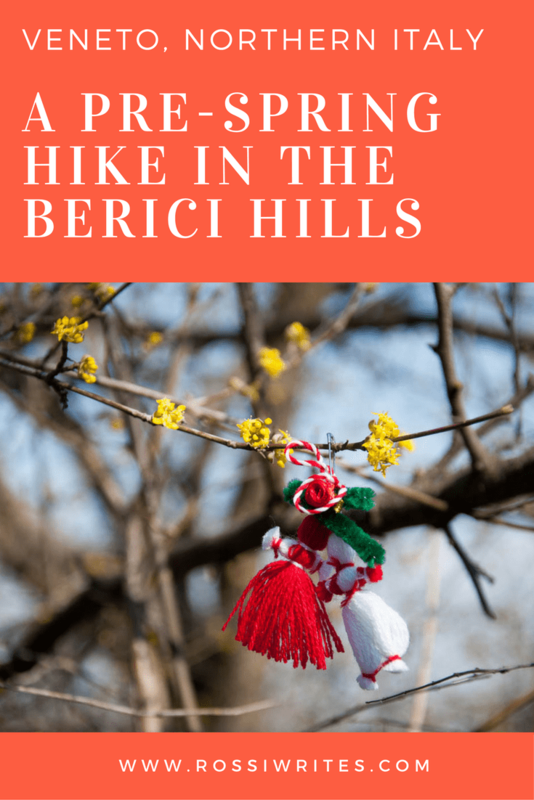 So, in line with our recently made decision to be more physically active and to commune more often with the stunning Italian nature, we headed to the Berici Hills as the perfect place for new (and full with great intentions) hikers like ourselves. Now, imagine a land flat as a pancake. That’s Veneto for you. OK, that’s not quite true. 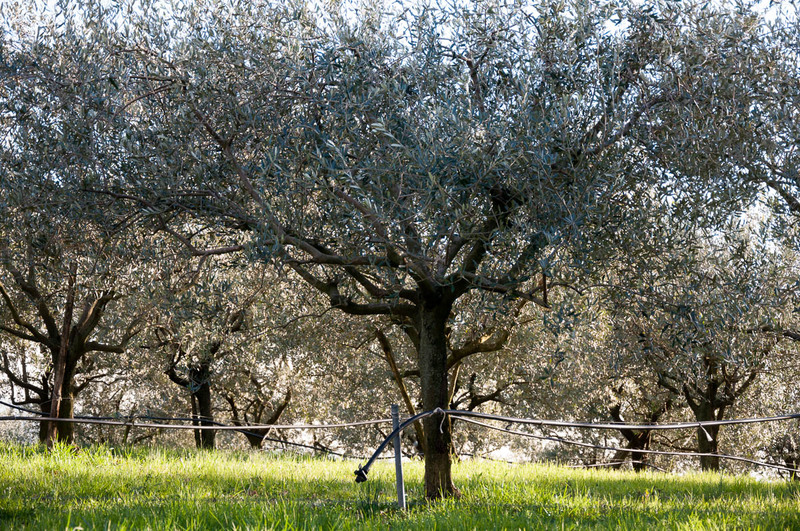 Veneto is a big region in the North of Italy and comprises both plains and mountains. I guess you can say that it has been blessed in terms of landscape. The thing is that the plains and the mountains here seem to exist almost independently of one another, for the Veneto’s plains are flat as the proverbial pancake and the Veneto’s mountains are high and steep, suddenly rising straight from the ground seemingly all the way to the sky with their powerfully jagged, blue peaks. We live in the plains. 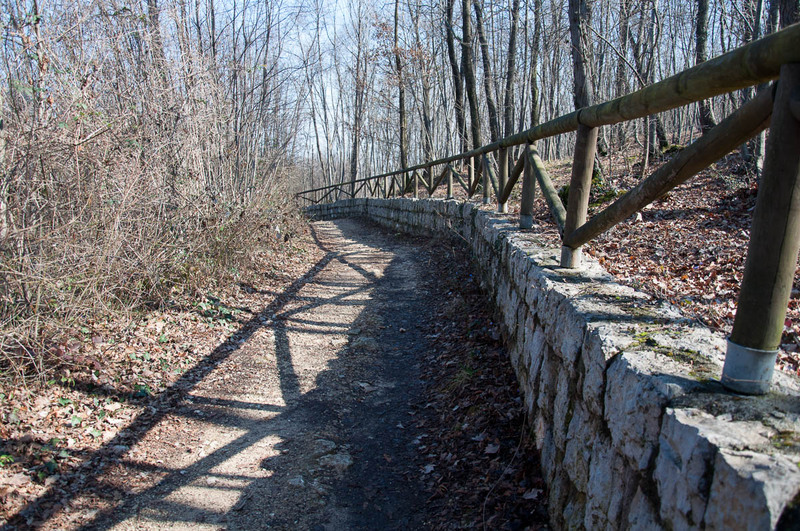 Vicenza – our home city for the past two and a half years – is nicely set up on a flat terrain. As luck would have it though, just next door to it is one of only two groups of hills which break the monotony of the plains for miles and miles on end. 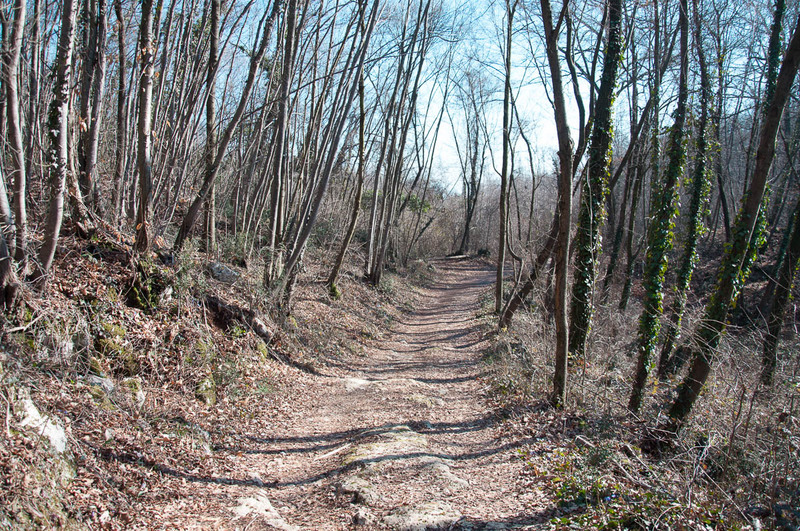 Our group of hills is called Colli Berici and in English it is known as the Berici Hills. 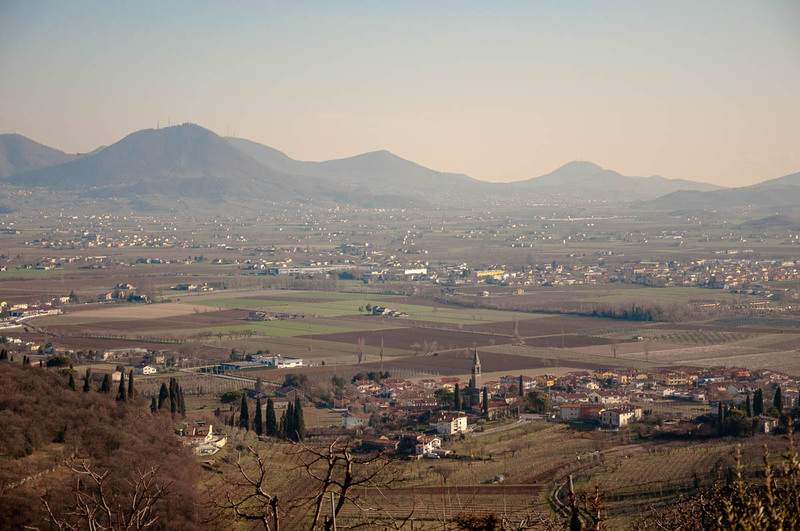 A little bit further away from us and towards Padua are the perennially hazy Euganean Hills (or Colli Euganei in Italian). 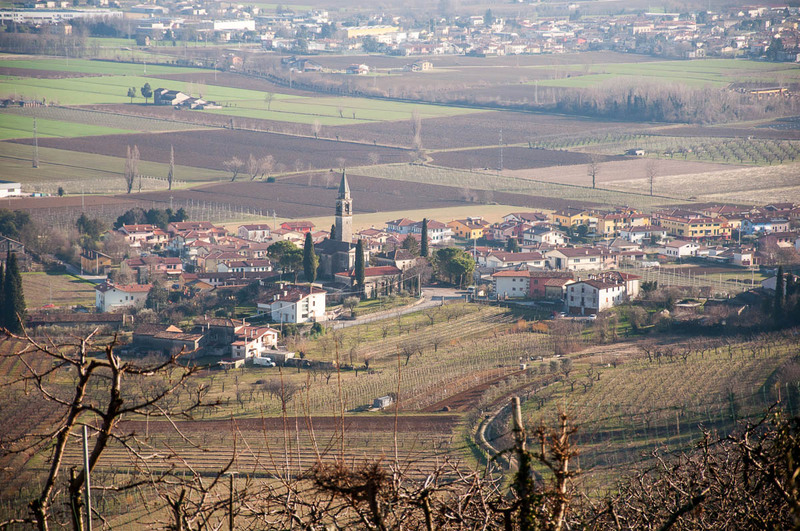 No matter where you are in Vicenza, you just have to lift up your head and you will see the Berici Hills. 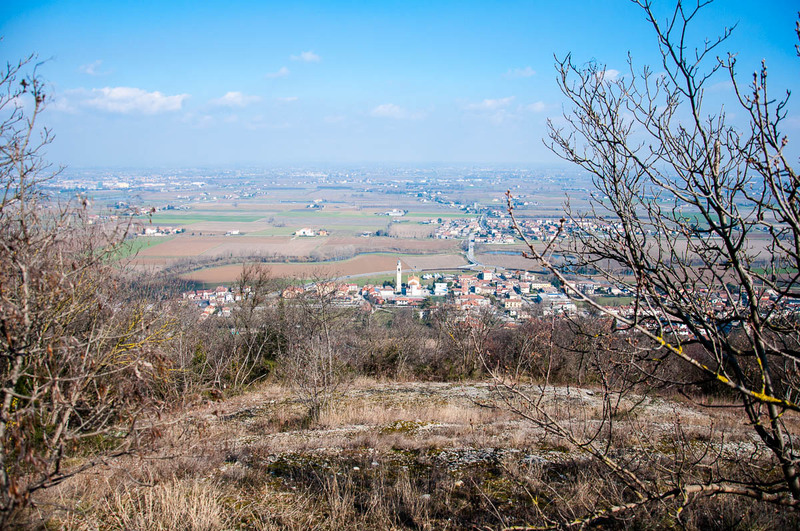 If you go for a walk to the top of their front-runner – Monte Berico where there is a church commemorating the apparitions of the Virgin Mary in the 15th century – you will see Vicenza spread out at your feet with the tall peaks of the pre-Dolomites further away in the distance. 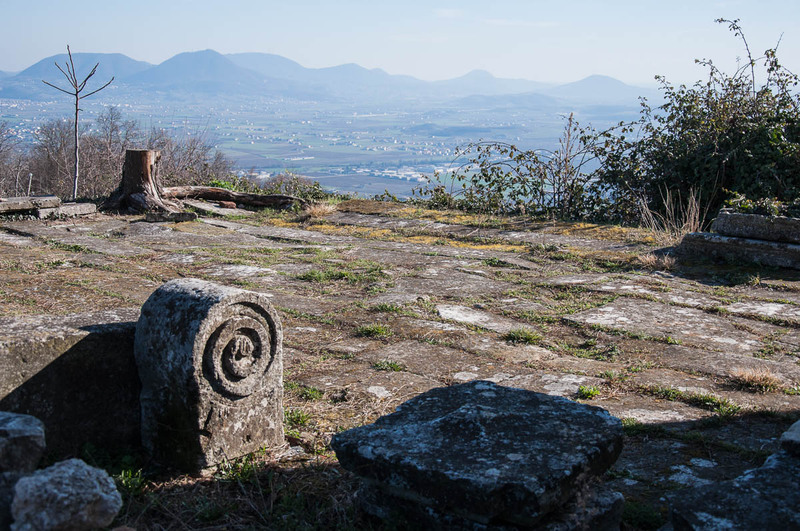 Now, for the dozens of times that we had driven up Monte Berico (where there is a nice restaurant, too), we had never ventured beyond it and deeper into the chain of heights of the Berici Hills. On two or three occasions we had paid a quick visit to the picturesque villages at the bottom of the hills, but never ever explored the hiking trails starting right behind the village houses and leading to the forests and the steep elevations above them. So, yesterday we decided that it was a high time to remedy this. We piled in our little red car and drove towards Longare – one of the many picturesque villages at the bottom of the hills. No, we didn’t have a definite plan in mind. Just a vague idea to drive there and try to find a map with the local trails (such maps are usually placed at the local bus stops) then take it from there. It sounds super disorganised and, I agree, it was. But, we had heard from many people (much more experienced than us) how well-signposted the Berici Hills were and that the trails started from the villages and were easy to follow, albeit the elevation could be a bit steep at times. Now, would you be surprised if I told you that things didn’t quite work this way?! No, neither was I. Upon arrival in Longare, we didn’t spot a map immediately and just decided to follow this one road and see where it would take us. The road went up and, before we knew it, we were driving straight up the hill and Longare started to look like one of those tiny villages which you glimpse from the window seat of a plane. This escalated quickly, as they say. ‘There is nowhere to turn here!’, he informed me with all his English reserve. By that point I had realised that what the books say is true and that Veneto’s mountains and hills do jut straight up from the plains below quickly gaining height without giving you as much as a moment to get your breath back. There was not much to do but to enjoy the ride. Just then I spotted something which filled my little Bulgarian heart with absolute glee. 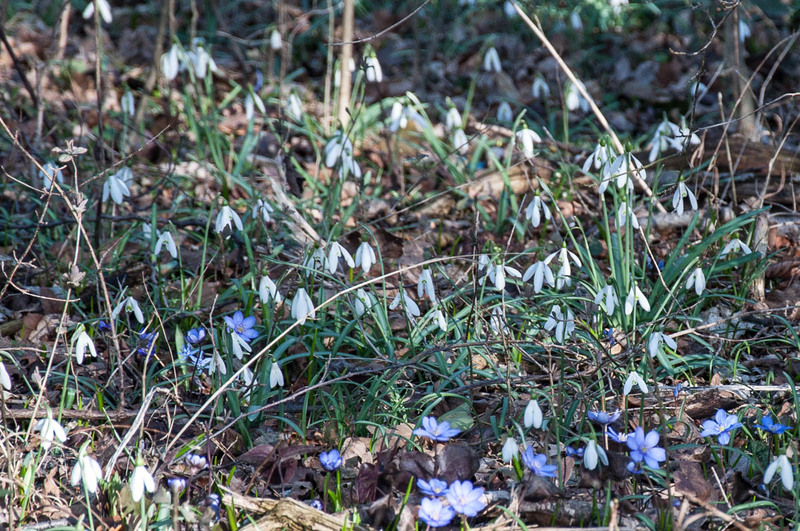 All along the road, in the shadows of the bushes and the trees grew hundreds and thousands of snowdrops. 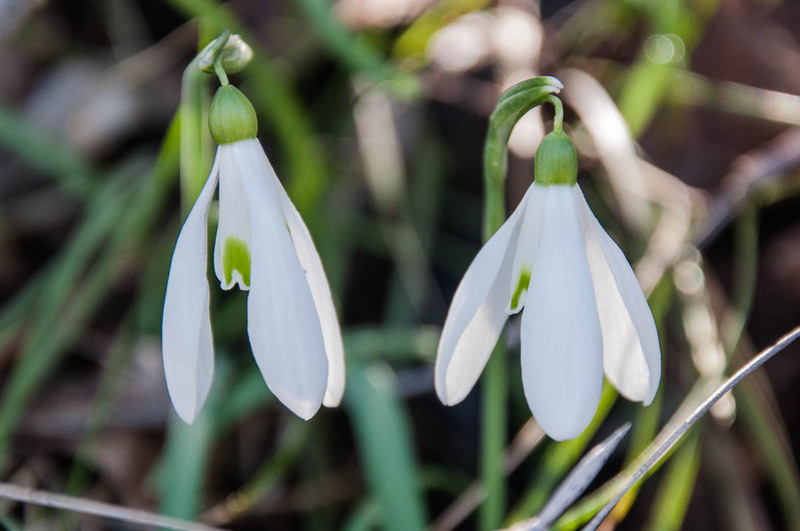 Bulgarians see the snowdrop as the first herald of spring and the delicate bell-like flower is loved by all. I had never seen snowdrops in Italy until that moment. I am sure there are loads of them, but I have never known where to look. So coming across whole little clearings filled with them made me feel very happy and nostalgic at the same time. Especially as it was the 1st of March. Now the first day of March is a very special day in Bulgaria. This is the day when we all – young and old – wear a martenitsa (and, if you are a child, you wear as many as you can fit on your top and on your wrists). A martenitsa (in Bulgarian мартеница) is an adornment made of red and white threads. Nowadays it is made in thousand different designs, but traditionally it would be either a red and white thread twisted together, or a red and a white tassels hanging together or even the tiny figures of a girl and a boy made of red and white yarn (the girl is called Penda and the boy Pizho, just so you know). You would wear a martenitsa as a symbol of the coming spring, of fertility, of the renewal of nature and as a wish for health. Friends and relatives would give martenitsas to each other as a present and then wear them on their coats, their jumpers and their wrists. 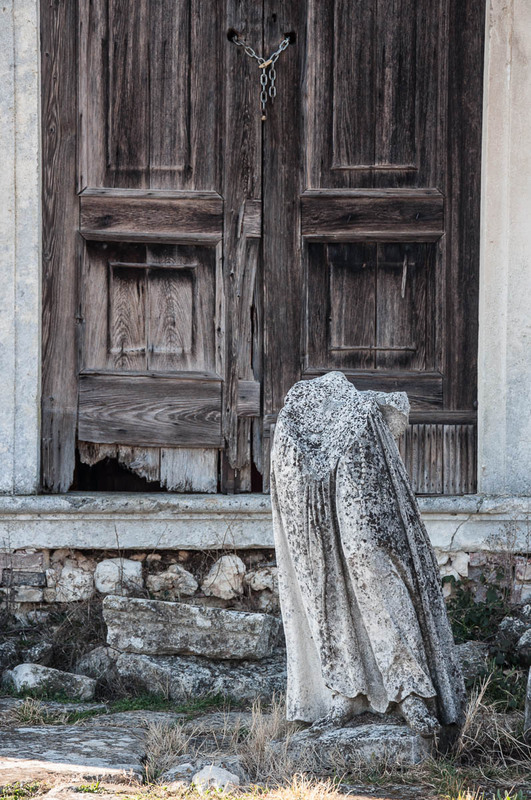 It is a sort of a pagan ritual which has survived in Bulgaria for centuries. According to the popular belief the martenitsas are brought by a good-natured old lady called Granny Marta (in Bulgarian Баба Марта). Now, the important bit is that once you start wearing your martenitsa on the 1st of March, you need to continue wearing it until you see a fruit tree/flowering bush in bloom or you glimpse a swallow/stork. Then, you need to take your martenitsa off and tie it up on the tree, respectively bush. There are small variations in the different regions of Bulgaria, but this is the ritual in a nutshell. Well, usually the fruit trees in Bulgaria start blooming around the middle to the end of March, which is also the time when the storks and the swallows start arriving back home from their winter abroad. Which means that I would have at least two weeks to wear my martenitsa(s) with pride. When I lived in London, sometimes I would wear them well into April, as it was colder there and it took longer for the trees to bloom (I don’t remember actually seeing a stork there that was not in a zoo). You know what?! We were high up in the Berici Hills and having stopped the car in a tiny lay-by, we went to see the snowdrops and take some pictures of them. And just then I saw it – a beautiful fruit tree in bloom! 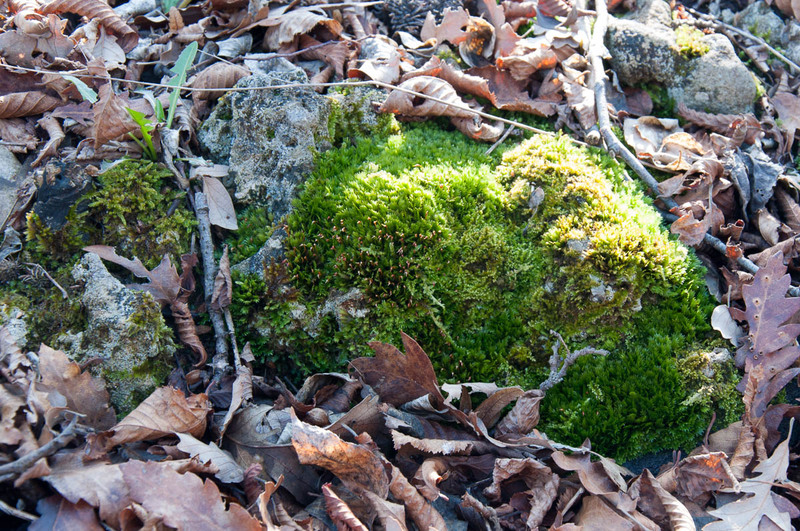 It was further down the slope of the hill and I couldn’t reach it from where we stood. But there it was. No mistake. That was a tree which had bloomed super early and in accordance with the ritual, I had to take my martenitsa off and hang it on the tree. The same martenitsa which I had pinned to my top that very morning. The same martenitsa which my parents had sent me from Bulgaria by post together with a dozen more for my family and friends. The same martenitsa which the Italian Post had made a real effort to deliver on time rather than do what it did with my Christmas cards two years ago and deliver them two months after the fact. But, I hadn’t even worn my martenitsa for a full day! Perhaps, if I looked away now, I could pretend I hadn’t seen the blooming tree at all. Yes?! No! 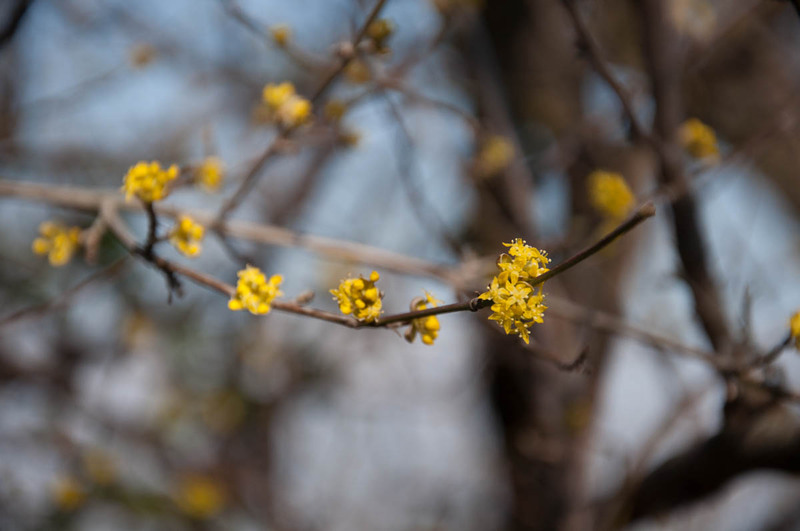 As I looked away, I saw a whole line of flowering bushes covered in yellow blooms which were lined along the road. We got back in the car and after asking a passing cyclist if we should continue ahead or turn back, we followed the road up and up through the hills. Soon, it became paved again and led us deeper between the heights. Here and there we glimpsed large houses followed by small wooded areas and even olive groves. Not really sure where we were headed to and with the GPS having lost signal, we just enjoyed the drive for a little while. Just then a brown sign caught our eye. 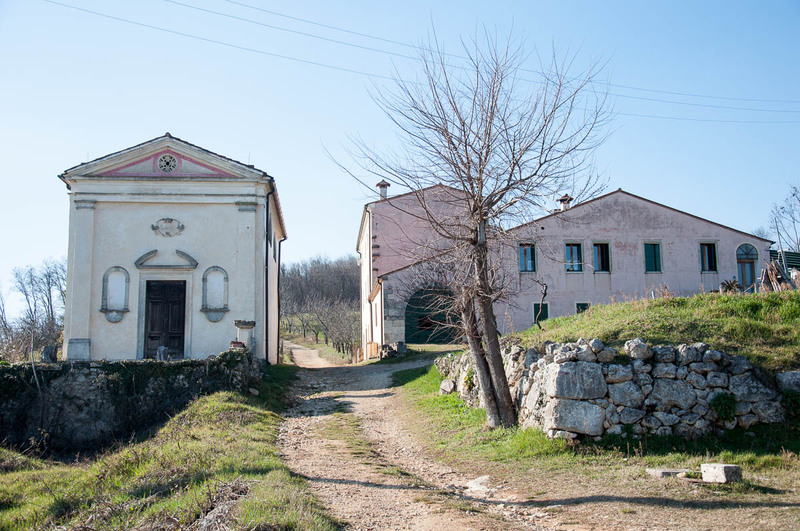 It pointed in the direction of three local sights – the 18th-century villa Sermondi and its adjacent church, a walled cave and a water spring which, apparently, had been used for an ancient aqueduct. We turned left and managed to find a space to park the car just by the trail head. This was going to be our first hike since August 2016 when we went to the Park of the Waterfalls in the province of Verona. We couldn’t wait to start on the trail. The path led us along the rim of the hill. Down below we could see the plains of Veneto stretching all the way to the hazy Euganean Hills. 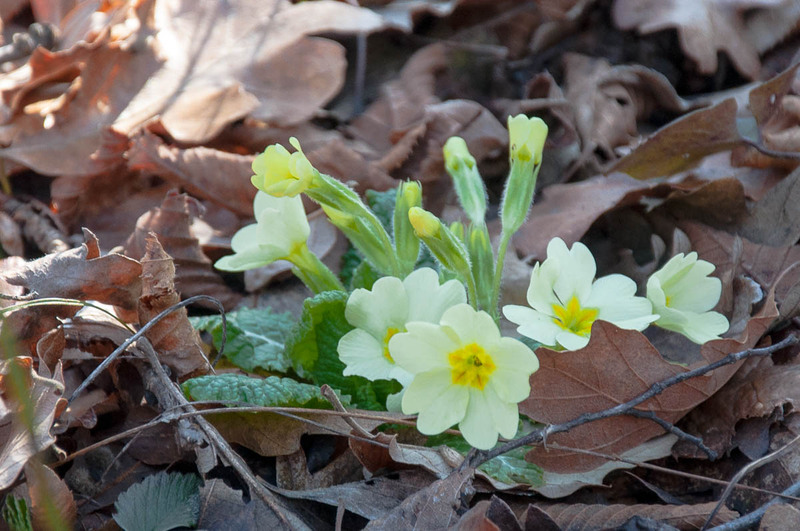 And even though officially is still winter, we could see the first signs of spring. 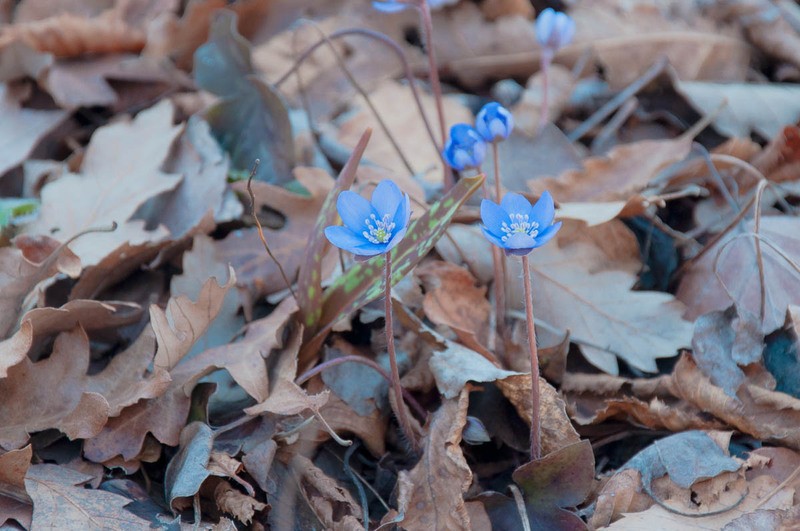 Lovely forest flowers were blooming between last-year’s fragile brown leaves. 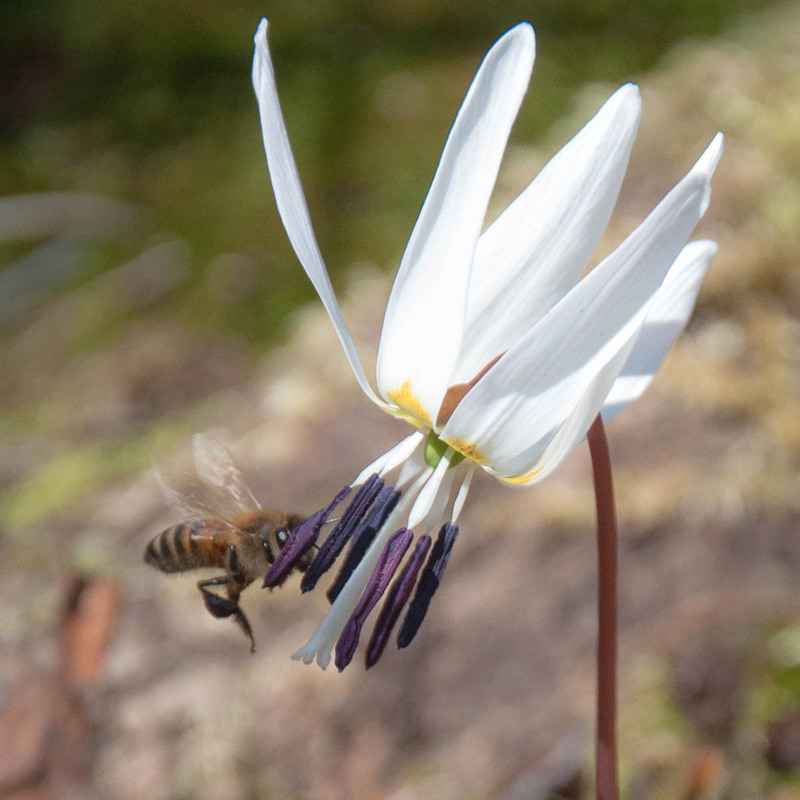 We could hear the buzzing of bees and lovely birdsong. Tiny lizards were sunning themselves on the stones only to run like mad as soon as they heard us coming their way. 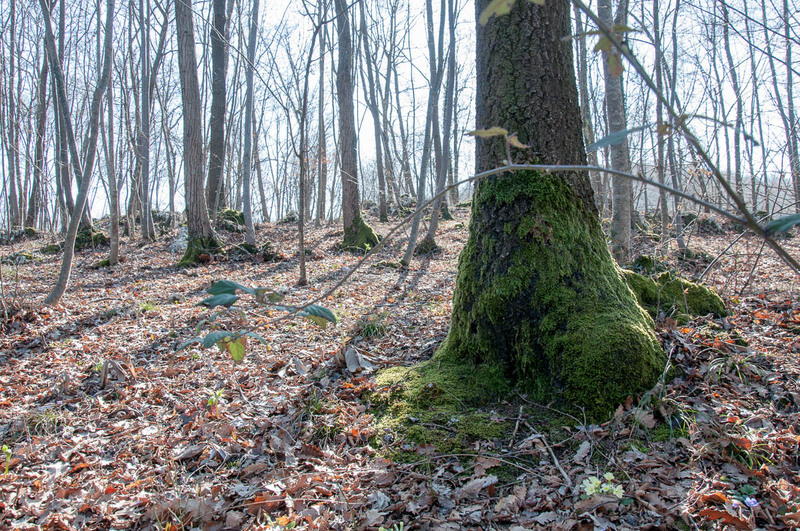 The trees were still brown and bare but the small clearings between them were bursting into life with green grasses and hundreds of white snowdrops. After what it felt like a long time, but it must have been 30 minutes at most, we saw the Sermondi villa, originally built in 1738. The small church right next to it had been abandoned for some time. 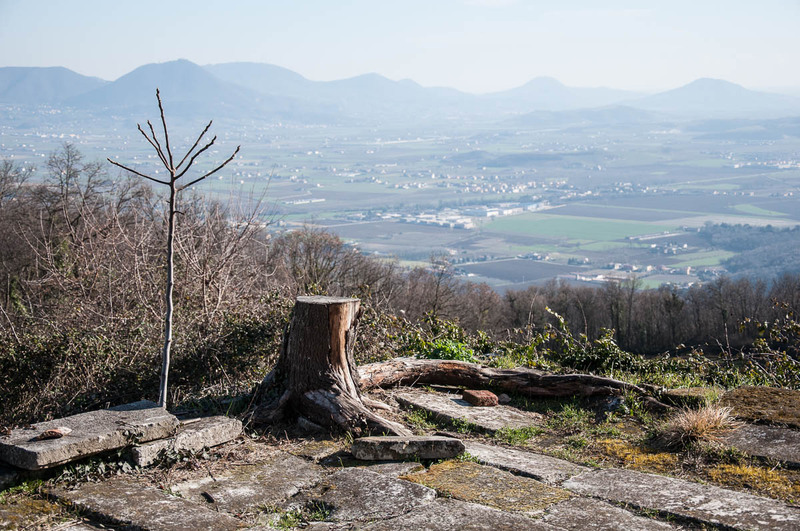 There was a small landing right in front of it allowing for splendid views of the Euganean Hills. From there we took a rocky path going down the hill trying to locate the walled cave. We walked for a while, but in the end we couldn’t find it. It was already 4 o’clock in the afternoon and time to head back home and get ready for the two working days until the weekend. We retraced our steps back to the car, drove down the steep coiling road straight into the famous for its cherries village of Castegnero and from there we headed back to Vicenza, firmly promising ourselves that we would be going on many more hikes in the months ahead. 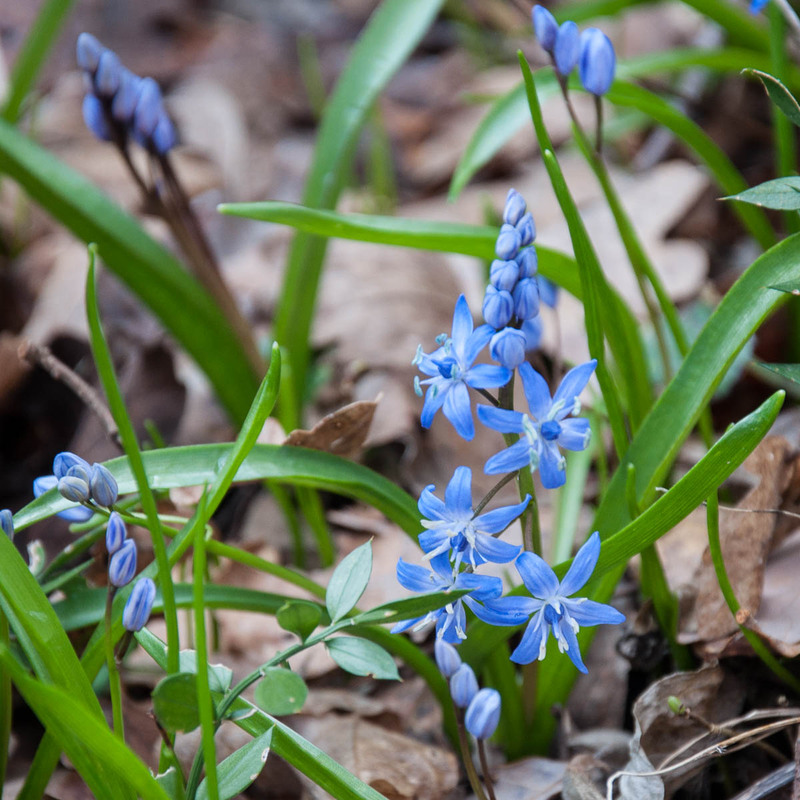 Are you looking forward to spring? Which one is your favourite season? Let me know!